Night Train - the Bay Area's HARDEST ROCKING DANCE PARTY! 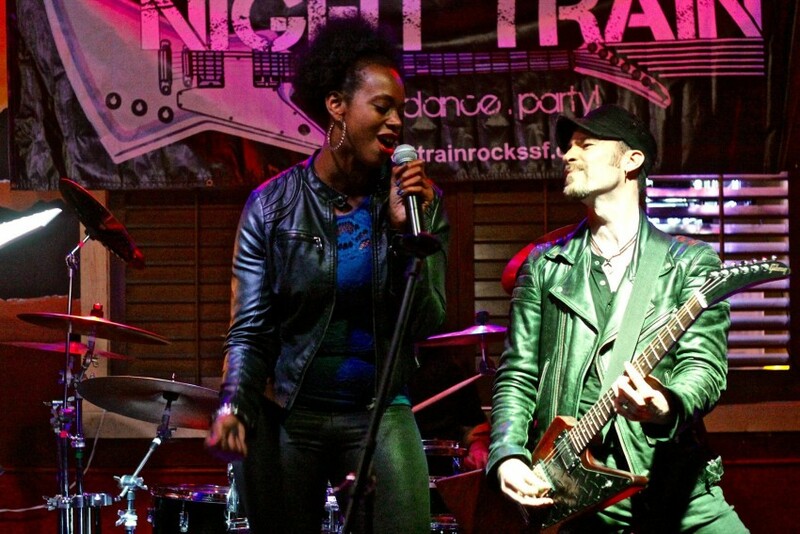 Night Train is the San Francisco Bay Area's most rocking dance party band. We play all of your favorite dance hits from the last 40 years, but with just a guitar-fueled rock and roll kick! 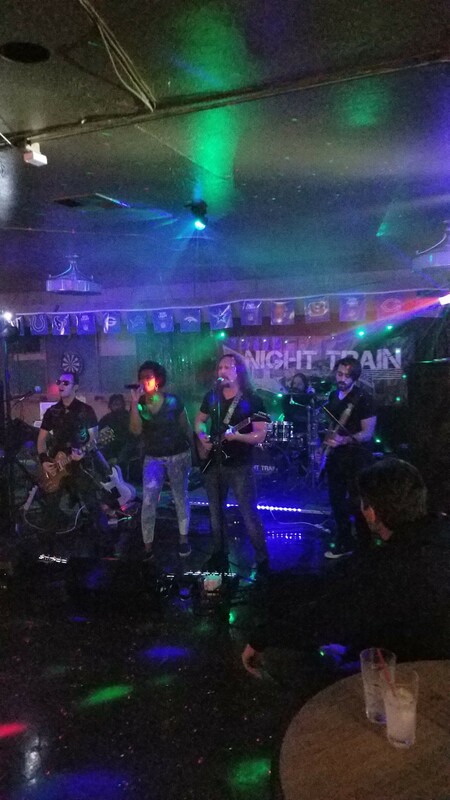 Our unique brand of dance/rock is a crowd pleaser for audiences of all kinds -- if you want to guarantee a full dance floor at your next event, Night Train is a safe bet. Hear your favorite hits from Prince, Michael Jackson, Madonna, Journey, Rihanna, Daft Punk, and many more in a way you've NEVER heard them before! Our partying style may be "off the rails," but our professionalism is second-to-none -- our clients call us responsive, well-organized, and easy to work with. So what are you waiting for? 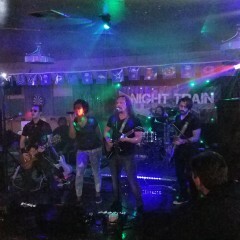 I hired Night Train for our school festival event to close out the show on a Sunday afternoon and they did a great job. They had explosive energy, and got down off the stage and got the audience involved in the music, up and dancing. They played some AC/DC, Metallica along with Bruno Mars so they really mixed it up well. I'd love to book them again, this time for a Friday or Saturday spot rather than Sunday since they really bring the excitement. Thank you Rodrigo! We had a fantastic time and can't wait for next year to party with you all even more! Blown Away by the Night Train!!! We were blown away by the awesomeness that is Night Train. Their energy was amazing and they interacted with the crowd! Their sound system was top notch and accoutrements (lighting, fog machine, the works!) just took the performance to the next level. Their song selection was broad and spot on for a rockin' good time. The experience was like packing a full concert line up into a local music venue. We received nothing but positive and ecstatic feedback from our patrons. We must have Night Train back again!!! Thank you so much for the kind words! We look forward to melting faces in Fairfield again! Night Train is the hardest rocking dance party in the Bay Area! 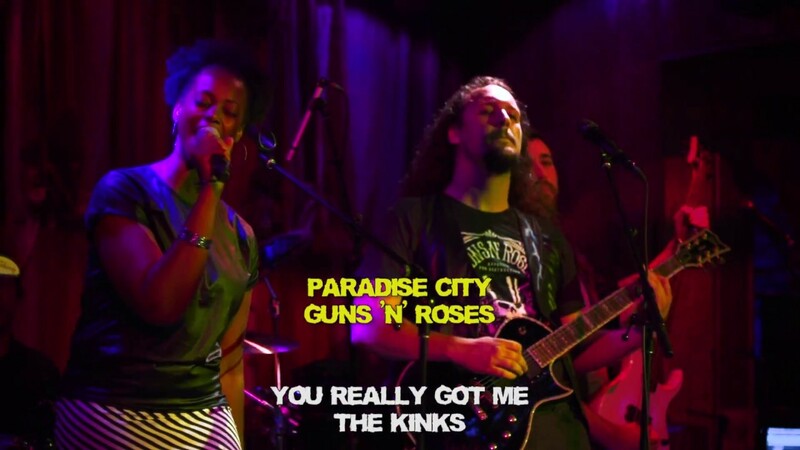 Lovers of dance music and rock 'n' roll alike love our unique fusion of the two styles, which means there's a little something for everyone at a Night Train show. Hear the hits of Prince, Michael Jackson, Madonna, Rihanna, and many more performed in Night Train's unique, guitar-fueled style! Our typical performance consists of three (3) one-hour sets with breaks of 10-15 minutes in between. However, we alter that format all of the time for clients. We will perform up to 4 hours of music total, provided that no single set is longer than 90 minutes. 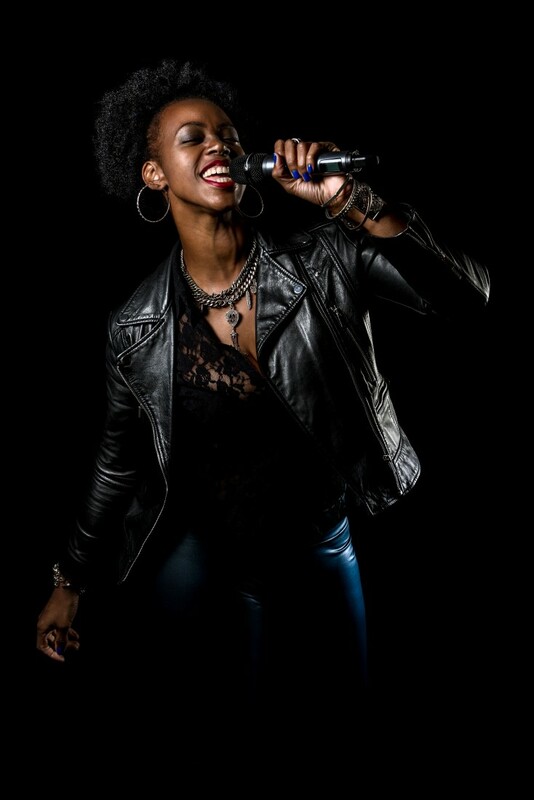 We own a professional sound system, which we allow our clients to use for recorded music (i.e. iPod) before and after our performance, and of course clients may use our sound system for announcements as well. Quote includes five (5) performers and one (1) professional sound technician. 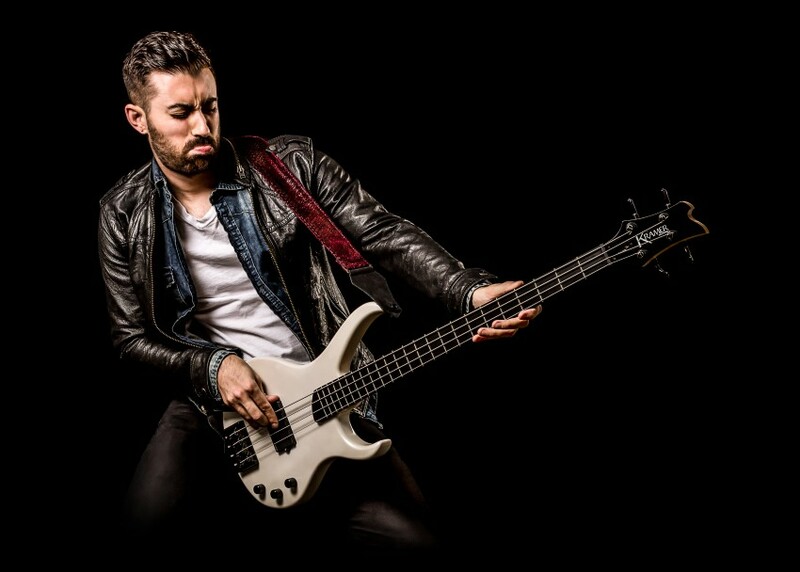 Night Train opens up the throttle to bring you a high-energy blend of guitar-based rock and dance music that is sure to please lovers of ALL styles of music. We have years of experience entertaining at clubs, weddings, and some of the Bay Area's largest companies. So what are you waiting for? Bring Night Train into the station for your next event...ALL ABOARD!! We supply the sound system and a technician to run it; we just require that the client supply sufficient electrical power and space (15 x 10 is the ideal minimum, but we've crammed in to even tighter spots). We have everything -- you supply electricity and space!